The turn of a new year is as good a time as any to revisit our plans and perhaps read a horoscope or two. For some people these predictions are literal. Others find it to be an amusement but nothing more. 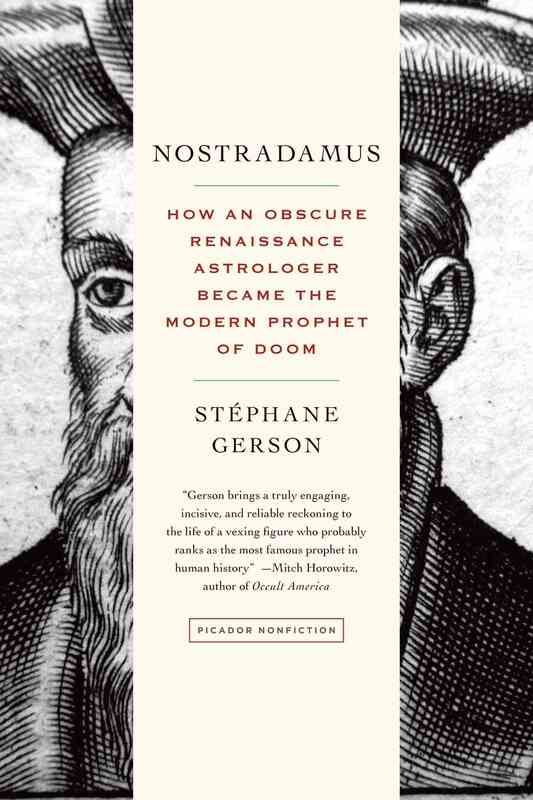 This book asserts nothing about Nostradamus’s ability or even prognosticators in general. Instead, Gerson focuses on the biography of the man and how his writings have been referenced throughout the past 500 years. In the middle 1500s, a learned person such as Nostradame was several professions in one. He was a physician, pharmacist, chemist, and amateur astronomer in addition to his work as an astrologer. Perhaps most interesting are the sections that deal with how people from different eras reinterpret the same quatrains, to exhibit wisdom on the figures of their time. Gerson also does a fine job of giving a brief overview of the cultural aspects of these time, which give context to these seemingly bizarre beliefs. This is quite the interesting addition to any history buff’s collection. Many thanks to Madeleine at Picador for the review copy.